Double Window, Imprinted, Many Sizes..
Do Your Own Labels is Easy. When it come to business forms, Print EZ has got it all. We carry a huge variety of all type of forms, such as, receipt books, invoice forms, gift certificates, statements and many more. We have an option of customizing your forms to fit your specific needs. We offer FREE shipping on forms, at checkout use Promo Code:18950. We carry all type of business checks such as manual checks and computer checks. We have a huge variety of accessories including binders, endorsement stamps, deposit slips and more. We offer a 10% discount on new orders, use promo code:11950. We carry computer checks designed to fit your softwares, such as QuickBooks, Quicken, Peachtree and more. Logos and imprint on checks are free of charge. Our computer checks are processed within 24 hours. First time customers can receive a 20% discount, use promo code:12950. Our business envelopes are designed to fit all your company needs. 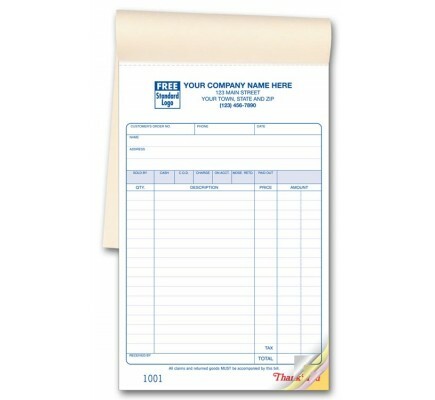 We carry double window envelopes, self seal, imprinted, reply return and many more. We offer FREE shipping for first time customer, at checkout, use promo code:18950. We carry a variety of labels for your personal and business needs. All labels are available for customization if needed. We will imprint your logo and add logo free of charge. We have mailing address labels, anniversary labels, waterproof labels and many more. Free shipping is available, use promo code:18950. We carry all type of tax forms for your business needs. W-2 forms, 1099 forms, 1096, w-4 and many more. Most come in laser and continuous to fit your needs. Order them in bulk for greater discounts. If you are not sure the type of tax forms you need, kindly contact us direct for assistance. Our gift baskets and gift towers are designed with you in mind. We have a huge selection for every occasion, for him, for her, for boss, employees, baby gifts, spa gifts and more. Check out our variety, there is one for every budget, style and need! We make all your Print EZ! Why Shop With Print EZ ? Need help deciding which item is right for you? Got a question about a product? No worries - Print EZ's In-House Experts are ready to assist. Our trained, knowledgeable specialists will guide you to the right products for you - online via Live Help or on the phone at (888) 246-0635. The EZ Reward program is a simple three step program - Shop, Earn and Reward! On every purchase you will earn 3 percent of what you spent. Reward points can be used in the next purchase that the you make on the site. The process of redeeming rewards points via the Print EZ checkout is easy and simple. We work hard to deliver you the lowest prices up-front, everyday. In addition,we'll beat any price - online or offline. Print EZ is constantly promoting new hot deals online. Be the first one to know by signing up below. Print EZ will never sell your email address. We will use it solely to notify you of great promotions that are coming up periodically. Business Forms, Checks for QuickBooks and Business Checks! Welcome to Print EZ, your online source for all your checks, forms, envelopes and gift baskets. We know how important it is to make a good impression on clients, vendors and customers, so we pride ourselves on delivering the highest quality business forms, computer checks and business checks so your professionalism shows through on every payroll check, invoice, tax form and purchase order. Using your business name and logo we can custom design letterheads, business cards, return envelopes and many other stationery and forms to give your company or organization a clean and polished representation when mailing. We specialize in personal, business, and QuickBooks checks for home and office accounting needs, offering over 1000 different themes and styles. To meet your exact specifications, we can also custom design personal and business checks. QuickBooks Checks Designed for your Computer! Clarity is of utmost importance to a business, and our computer checks provide the highest level. For convenience and ease of use, our computer checks are designed for ink jet, laser and dot matrix printers and are compatible with popular accounting software programs including QuickBooks, Microsoft Money and Peachtree. Whether you manually cut checks or use a computer system, we have just about every style and theme you can think of. Our terrific deals on personal and business checks save you time and money. Receive a 20-percent discount on QuickBooks Checks with every new checking account you open. We can also place your business logo on every check at no extra charge, and most orders ship within 24 hours of being placed. Custom Business Forms by Industry, Plus Affordable Food Gift Baskets! Well designed and custom forms and stationery project a professional appearance and let customers and clients know they are dealing with a serious company. For creating the right look or meeting your company's requirements, we can custom design a wide variety of business stationery and forms, purchase order forms, invoice forms, statements, ledgers and receipt books. With uniform design across your business forms you will look well organized and be easily remembered by vendors and clients. We're not just business-focused, however. When it comes to sending out gorgeous food gift baskets for an occasion or holiday, we have you covered with a large selection filled with chocolate, wine, cheese and much more. Find gift basket for this holiday in a variety of styles and low pricing. Your average printing supplies store may have 6,000 or so products, but at Print EZ, we carry a massive inventory of more than 40,000 items! No matter what your business needs, we can supply it. Even better, our unique system and low overhead allow us to sell those supplies at unheard-of prices. We also offer bulk discounts and preferred pricing. From business printing, to food baskets, gift items and wedding Invitations. Print EZ is your #1 Source for all your printing needs! While there have been reports of a printed book called ‘Diamond Sutra’ as long back as 868BC in China, the real documented history of printing started with Gutenberg. Before Gutenberg printing was extremely decorative and ornate and involved carving into stone, wood or metal. Natural inks and paints were used too. The process was manual and required a lot of time. Johannes Gutenberg from Mainz, Germany is applauded as the man who changed the face of printing. He invented the movable printing press in 1440. The first printing press was wooden and later it was adapted to use metal plates. The 42-line Gutenberg Bible This basic printing can be compared to what we would today refer to as stamp printing. There were various adaptations of this printing process but the basis of the printing remained the same till the 20th century. Ottmar Mergenthaler’s linotype composing machine was the next great invention that marked a significant threshold in printing in 1886. The machine allowed the same person to be the machinist, the typesetter, justifier, typefoudner and type distributor. The New York Tribune was the first to use it. Ever since the design was modified a number of times and more than 1500 patents have been issues with regards to this style of printing. In the 1800’sthe iron printing press was invented along with the rotary printing press. Embossed printing was invented by Louis Braille. Paper was mass produced from wood pulp in 1870 and web offset was also used to print on both sides of the paper in this era. Around 1870, offset printing became the most commonly used method of printing. This process involved transferring the image from a plate to the rubber blanket from where it was transferred to the material that required printing. As offset lithography became common in 1904, the first comic book was also published in this year. In 1907, silk fabric was used as a printing screen by Samuel Simon of Manchester England. He was also awarded a patent for this process. The teletypesetter was developed by F.E. Gannett of Rochester, W.W. Morey of East Orange and the Morkrum-Kleinschmidt Company. This was called the ‘Walter Morey’ teletypesetter. This invention was soon followed by the phototypesetter, created by Frenchmen Louis Marius Moyroud and Rene Alphonse Higonnet. The phototypesetter used strobe light and optics to project images and letters from a spinning disk on to paper. It is interesting to note that there was a time in 1954 when there were more radio channels than daily newspapers. In the 1960’s photocopying was introduced by Xerox. Other forms of copying like carbon paper, Photostat and mimeograph became redundant over time. However, things changed swiftly as digital technology changed the way in which printing was handled. The laser printer as introduced in 1969. It was a modified xerographic copier and by 1971 the world had a completely operational networked laser printing system. Not many know that the dot matrix printer was developed later in 1970. It was essentially an impact printer that could be used with a computer. The inkjet printer with its infallible quality and the digital printers came later. Almost all kinds of printing are computerized these days. Essentially, the printing methods that are used for business printing like envelope printing, business form printing, label printing and check printing use printing options like offset, screen printing, inkjet and laser. While offset is uses rollers and assured good quality, the inkjet technology uses thermal, piezoelectric or continuous transfer methods and requires special paper in order to prevent bleeding. Laser printing is the faster and more efficient way of printing that is used in most offices that do not requires very high level of printing quality. Irrespective of the kind of printing technology that is used, most of the printing is digital in nature. It provides for better flexibility in terms of the medium in which the printing is required and allows for proofing the work before any mass printing is approved. There are various advantages of using digital printing. When you choose digital printing you make sure that there is no cost of initial setting up like in the case of offset printing. Once the digitized version of the printing material has been created, it can be approved without really printing a single copy. This means that there is no need to physically send the proof for approval and this can be done via email. The turnaround time for any batch of production is quicker. One can also be sure that each and every copy of the print shall be identical to the other. The fact that there is no initial set up cost ensures that digital printing is the best option when you need to get smaller runs done. It is also an easy to implement process when you want slight variations in each print that has been created. For example, mailing lists can be used to address letters to individual customers without having to create those many copies of the same file. Some people criticize digital printing because the quality of printing cannot be matched to that of offset printing. While offset printing is great for very large jobs that require extremely high level of image quality printing, the difference in quality of printing between digital and offset is hardly noticeable by the untrained eye. So choosing offset is a good idea when you want to print a glossy magazine that has a lot of scenic images or models or food recipes too. But in most other cases, digital printing proves to be the most convenient. Businesses have benefited significantly with digital printing. 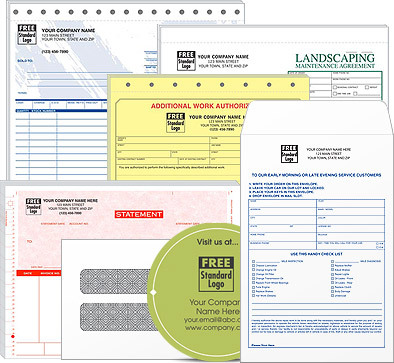 Business forms, checks, envelopes and labels have been filled with newness and uniqueness with the customized possibilities that digitization brings about. 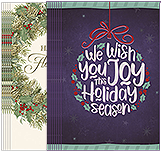 Whether you want to write a personal message on a food gift or send across individually printed holiday cards, digital printing makes it all possible. Checks are the oldest form of non-cash payment that you can think of. They have been known to be used by Romans as far back as the first century B.C. the Persian Empire also used letters of credits that were called Chaks. In the 9th century, Muslims were known to use something similar too. Security – Computer checks are far more secure than manual checks since they are equipped with various security options that make scanning and copying a check impossible. It is obvious that the benefits of QuickBooks checks far outweigh those of manual checks. However, there are some things that you will need to keep in mind when are making the change. The first thing that you will need is accounting software that supports check printing. It is best to get one of the popular accounting software options like QuickBooks, Microsoft Money or PeachTree. These specific computer checks are available at most online check printers too. There are different kinds of checks that you can print with software like QuickBooks. The emergence of the computer check cam about with the advent of various accounting software options. As software options such as QuickBooks, Quicken and Microsoft Money became popular, computer checks became more sought after. 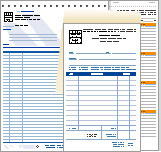 Businesses saw a large number of advantages of the computer check in comparison to the printed business check. As printing presses opened across the world, it started to become apparent to businesses that printing could help in streamlining businesses processes to a large extent. While most of the forms were handwritten earlier, the printing process helped in making the processes more standard. Templates were developed and these initial formats were created for offset printing. but things changed as computerization of everything changed the manner in which businesses worked. It is interesting to note that the first labels created aimed at catching the eye of the customer. They were in fact used as a marketing tactic to make sure that the customer was attracted towards the product that was labeled. Label tags have been used to identify products since the 1880’s. Gum was used to stick the label to the product or produce that was being marketed. The use of these tags in business really started in 1930. The origins of wedding invitations lie in announcements made loudly by town crier and everyone who was in earshot was invited. The start of these invitations as we know it started with the nobility in The Middle Ages. Monks skilled in the art of calligraphy were paid to create beautiful invitations for weddings. These invitations, more often than not, carried the Coat of Arms or the personal crest of the father of the bride or the groom. A postcard can say so much more than a letter with only words. This only goes to prove that a picture can say a thousand words. The first postcard was issues in the United Kingdom in 1870. But at this stage the postcards were not printed and only had a pre-printed stamp on them. The first picture postcard was issued in 1894 and smaller court cards were issued between 1895 and 1899. Surprising that it may sound to you, the term picnic was first used in the 17th century. Based on Origines de la Langue Françoise de Ménage, it is a French word that was created by joining ‘piquer’ and a nonsense syllable. ‘Piquer’ means to peck and therefore the tradition of eating out. The phrase was used out of the French context in 1748 but it was acknowledged as an English word only in 1800. The tax system in the United States has gone through many changes in the past. Some of these changes have been based on historic events while others were a part of changes made in the constitution. In colonial times, the tax required from the colonies was limited to custom, excise and a few others. At this time the colonies were responsible for most of the work required to be done in the state. The first known promotional products used in the United States of America were promotional commemorative buttons that were used in the election of George Washington in 1789. But by the time the world reached the 19 the century, calendars and some other pieces of stationery had made their way through into the category. Ancient Egyptians, Chinese and romans were all known to send colorful greetings to each other during the holiday period. Printers did not see the potential in holiday cards till the 18th century. The Christmas card was sent by Sir Henry Cole when he realized that Christmas was round the corner and the annual letters to friends and family had not been written. He decided to hire John Horsely to create s set of lithographic hand written cards that could convey his wishes to all his friends. This very first holiday card was also intended to give a message with regards to the needs of the poor. Ordering is easy, you can't beat the price, and I received my order very quickly! Great, prompt service. Knowledgeable staff. Delivered both orders on time. Thank you! Excellent response Super fast shipping, checks look great. .
Print EZ is a great company to work with! I ordered the wrong product & they only charged me the difference for the redo! Incredible customer service! I will be doing business with them for anything & everything from here on out! I've ordered QuickBooks checks from Print EZ for years. They do a great job of providing a quality product at a reasonable price with quick turnaround. Everything went according to plans. Order was received on time, artwork was just as I ordered! I WILL be back and bring some friends. I have been using this invoices from Print EZ for several years now. They are easy to work with and are always very accurate in my orders. The customer service was articulate and helpful. My custom order came out just as expected. Thank you! Well done, shipped quickly, no problems, what's not to like? Printing was exactly as the proof. Easy to deal with. Product arrived quickly and exactly as ordered. I chose very small sales receipts, i.e., less paper, and they're perfect. Great price, great service. I have been using Print EZ for several years.. order is always correct and fast! Fast turnaround service, received my checks sooner than I thought. Customer Service staff is knowledgeable and polite. Checks work well with QuickBooks for Mac. Will definitely buy from PrintEZ again. Thank you. I really like the improved product website. Service is very good and the staff is such a pleasant to being doing business with. I have been a customer for many years and always impressed with fast turn around time. EZ, fast and good quality. I have been purchasing computer checks for QuickBooks from Print EZ for over 5 years. There customer service is outstanding as well sending packages in a very timely manor. Sometimes when ordering I would have it the following day at my door..
Great products! Awesome organization and fast processing and shipping! Will be ordering again and again!! Print EZ is the best website for computer checks, and other prints. They are fast in their services. I like it.